← Ed Johnstone of the Quinault Indian Nation , shares with us on July 21, 2013, on the upcoming Paddle to Quinault 2013, at 4pm. Phil Lane Jr. is an enrolled member of the Yankton Dakota and Chickasaw First. National Indian Magazine named Phil named a Modern Indian Sports Great for his record-breaking accomplishments in track and wrestling in 1977. For 44 years, he has worked with Indigenous peoples in North, Central and South America, Micronesia, South East Asia, India, Hawaii, and Africa. For 16 years he taught at the University of Lethbridge, in Alberta, Canada. 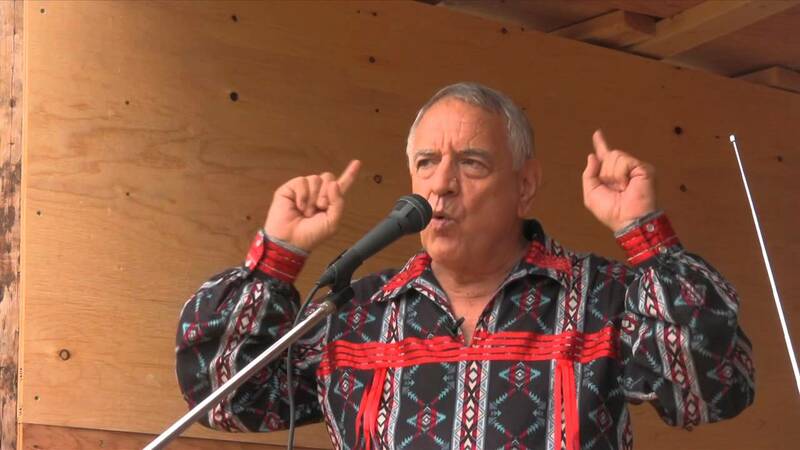 With elders from across North America, Phil co-founded the Four Worlds International Institute (FWII) in 1982. Today he chairs the Four Directions International, an indigenous-owned economic development company incorporated in 1996, focusing on the importance of culture and spirituality in development. Phil is an award-winning author and film producer, whose credits include “Images of Indians, “Walking With Grandfather,” and “Healing the Hurts.” He has been honored by Indigenous elders as Hereditary Chief through a traditional headdress ceremony. He was the first indigenous person to receive the Windstar Award, and has been honored by the Foundation for Freedom and Human Rights, in Switzerland, and the Center for Healing Racism in Houston. This entry was posted in Make No Bones Shows and tagged Chief Phil Lane Jr., Connecting with Spirit, Indigenous Elder and Leader Chief Phil Lane Jr on Make No Bones About It.Public · By "Make No Bones About It. ", KAOS 89.3 FM, Make No Bones About It. Bookmark the permalink.